In her current exhibition at George Lawson, Marie Thibeault continues her exploration of environment in new large-scale abstractions. When I visited her studio near LA in 2014, her paintings were informed by unsettling news stories like the revelation that, due to the NSA’s data mining activities, we were living in a surveillance state. In these new paintings, her focus has shifted to the uncertainty created by violent environmental upheaval and the individual’s vulnerability in the face of powerful forces. 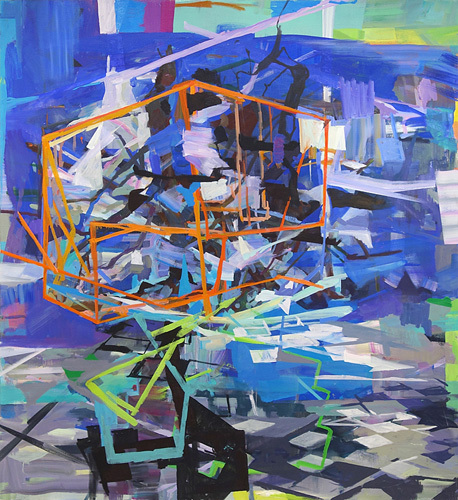 The jangled, saturated color, buckling architectural forms, shifting landscape spaces, and jittery brushwork give visual form to the artist’s anxiety and sense of helplessness. 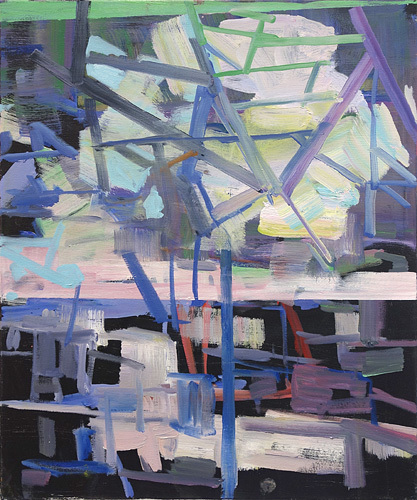 Marie Thibeault, Night Tree, 2014, oil on canvas, 72 x 66 inches. 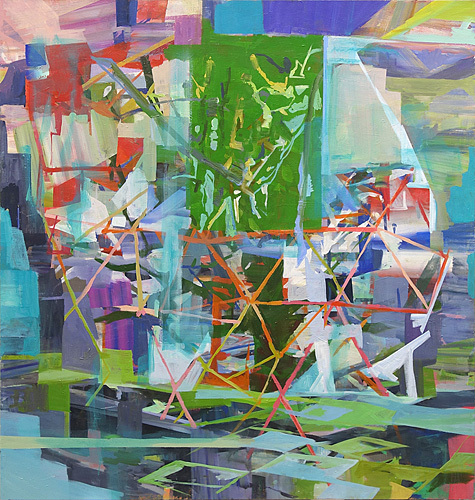 Marie Thibeault, Mantie, 2013, oil on canvas, 72 x 66 inches. Marie Thibeault, Cadenza, 2015, oil on canvas, 24 x 20 inches. 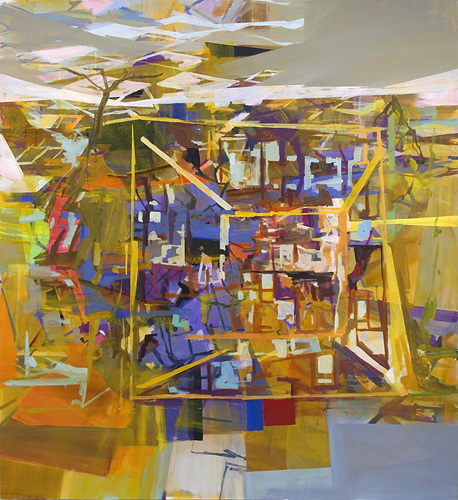 Marie Thibeault, Beacon, 2014, oil on canvas, 72 x 66 inches. 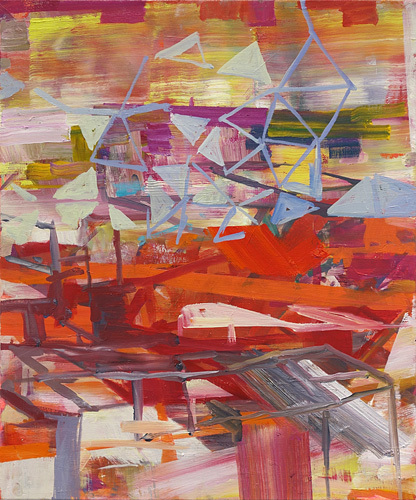 Marie Thibeault, Albedo, 2015, oil on canvas, 24 x 20 inches. 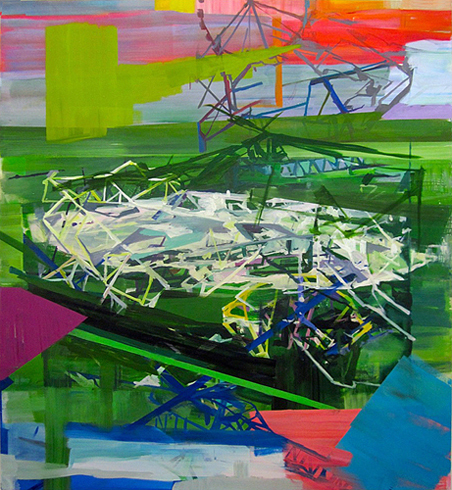 “Marie Thibeault: engineering, selected paintings,” George Lawson, San Francisco, CA. Through November 11, 2015.